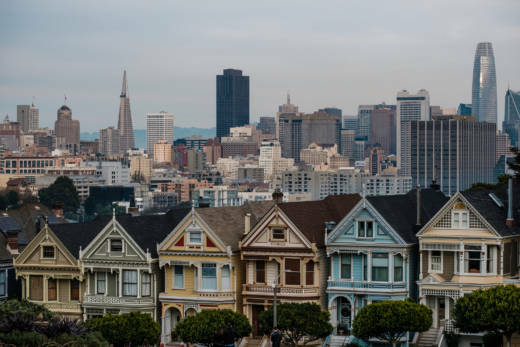 In San Francisco, the average rent for a one-bedroom apartment is more than $3,000. But some living in rent-controlled apartments pay way less than that. That's because their landlords are limited in how much they can raise rental prices each year. As California's housing crisis continues to roar on, some wonder if expanding rent control could help. But how exactly does it work? And is it effective? 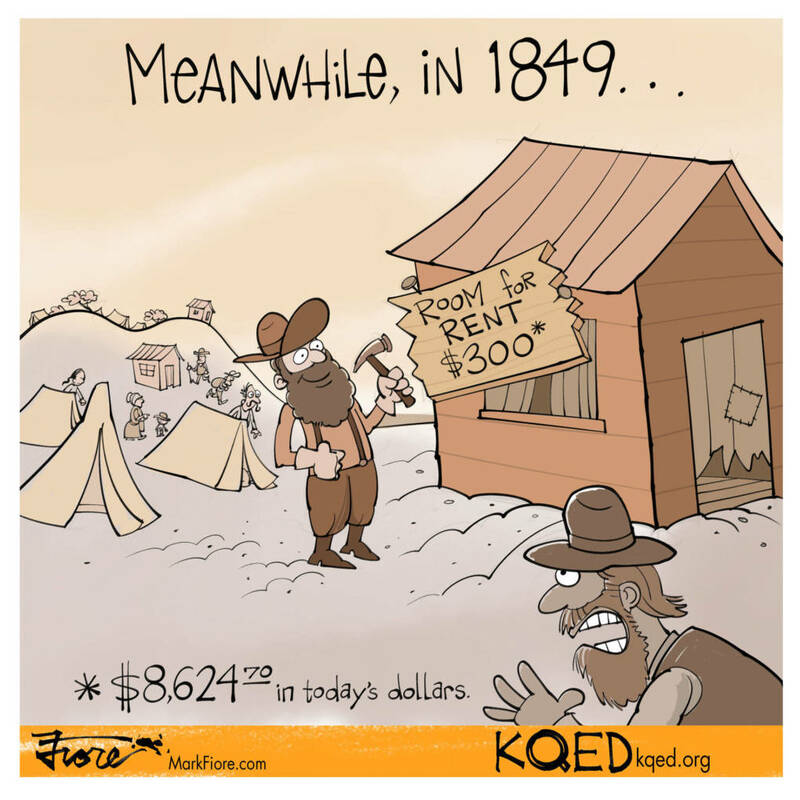 Right now at least 15 cities in California have some form of rent control. Most of them also have rent control laws that limit when landlords can force tenants to leave. In the Bay Area, San Francisco, San Jose, Oakland and Berkeley have had rent control for decades. But even in those cities, not every home is under rent control because there is this law that limits the reach of rent control. In the mid-'90s, California was going through an affordable housing crisis. To encourage more housing development, two politicians, Democratic Sen. Jim Costa of Fresno and Republican Assemblyman Phil Hawkins of Bellflower, wanted to curb rent control. They drafted the Costa-Hawkins Rental Housing Act, and in 1995 it passed by one vote. Costa-Hawkins shaped rent control across the state in two big ways. First, it allowed landlords to raise the rent to whatever they want after a tenant moves out of a rent-controlled apartment. This is called vacancy decontrol. “I see apartments all the time, they're total pieces of crap. And they're charging like a bazillion dollars, right? But once you get into that apartment, they're limited in how much more they can raise it. Every time a person moves out they can reset it,” says Matt Levin, a data reporter for CALmatters and co-host of the housing podcast "Gimme Shelter." Before Costa-Hawkins was adopted, some cities had vacancy control, which caps the rent on a unit even after a tenant moves out. Second, Costa-Hawkins barred certain kinds of housing, like most single-family homes and condos, from being rent-controlled. It also doesn’t allow rent control on buildings built after Feb. 1, 1995. For the cities that already had rent control on the books, Costa-Hawkins froze their construction cutoff dates where they stood. In Oakland nothing built after 1983 can have rent control, Berkeley is 1980, and in San Jose and San Francisco it’s 1979. “So anything new and nice-looking in San Francisco is not going to have rent control on it,” says Levin. “There is not as much really great research on the effects of rent control as you might think,” Levin says. "One of the best studies that has been done in my opinion, and in the opinion of a lot of people who research this topic, is a Stanford University study." The study is by Rebecca Diamond, Tim McQuade and Franklin Qian. Diamond says that many arguments for or against rent control are theoretical, but reality doesn’t always match the theory. Diamond, McQuade and Qian got data showing the address changes of San Franciscans over about 18 years, starting in 1994 when rent control expanded to small multifamily housing. “We find for the tenants that were living in San Francisco at the time of the law change, [that became covered by rent control,] they benefit dramatically,” says Diamond. People who ended up in rent-controlled apartments at the time of the law change saved $7 billion over 18 years. People over 40 saved the most, and saw three times the benefit of younger people -- probably because young people can’t stay put in the same way. They need to leave those rent-controlled apartments because of new jobs, marriages and growing families. 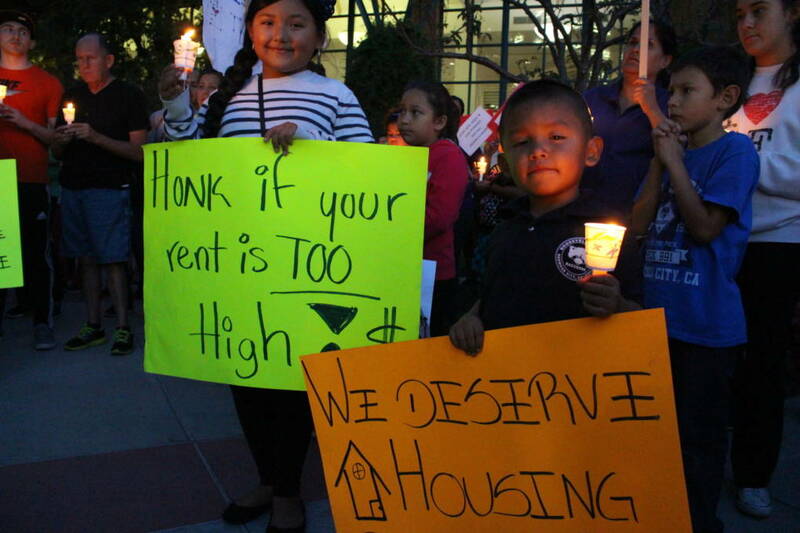 “[Rent control] can create big distortions of forcing people to stay in the ‘wrong’ apartment. You can imagine an old lady living in a four- bedroom apartment because it’s so much cheaper than a one bedroom, and on the flip side you can imagine a young person who has kids staying in a studio because they can’t pay super expensive rent elsewhere,” says Diamond. While the price ceiling of rent control limits earnings, rent control cannot impede landlords' ability to get a "fair market return" on their property. If landlords who own rent controlled properties want to charge tenants more, they need to present reasoning. For example, if the landlord adds a pool and sauna to an apartment building in Berkeley, that landlord could petition the rent board to increase the rent ceiling. With their earnings capped, some landlords decided to leave the rental business altogether by selling or converting their apartments. In 18 years of the study, Diamond found that 15 percent of those newly rent-controlled apartments had been taken off the rental market entirely. With more people trying to get into fewer apartments, landlords can charge more for those apartments. Diamond’s study found that across the city rent went up by 7 percent and cost $5 billion. Meaning newcomers and renters without rent control end up paying more. Should We Get Rid of Rent Control? Because our form of rent control can create market distortions and drive costs up for many people, Diamond and her colleagues think it needs to change. They propose that the state find another way to provide cost stability to renters without placing the burden on landlords. Many economists believe rent control should be eliminated, because developers would build more and that new housing would reduce demand and lower prices. 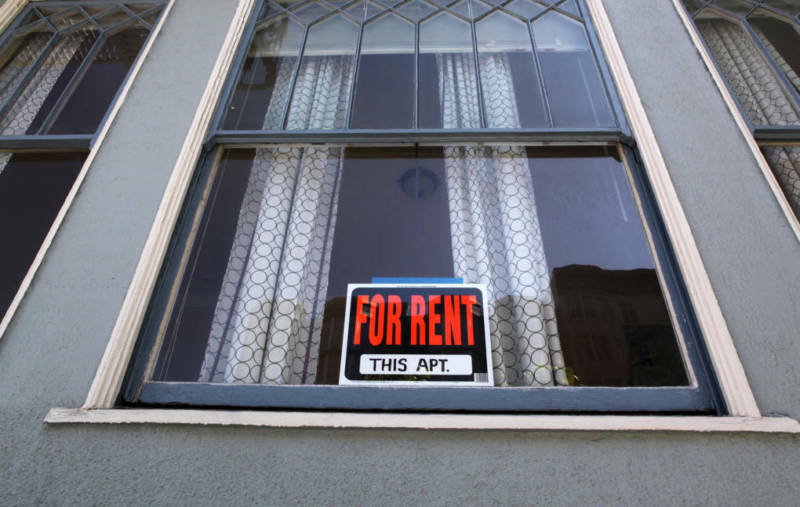 While rent control may worsen affordability in the long term, some say we are in a crisis and low-income renters need these kinds of protections. The simulation found that getting rid of rent control would mean more than 16,000 households would find themselves in unaffordable housing overnight. Tenant advocates say that rent control is important for preserving diversity in cities by protecting vulnerable populations. Tony Samara of the advocacy group Urban Habitat says this is a civil rights issue and that rent control is a frontline defense against resegregation in the Bay Area. "When you look at where the impact [of displacement] is most heavy, it's disproportionately on black and brown communities," says Samara. Should We Expand Rent Control? Samara argues that the problem with rent control causing market rate rents to get more expensive isn’t the result of too much rent control, but not enough. “If you have a city that passes controls on pollution and then the polluting industries pick up and move to the next city, do you blame the regulation against pollution or do you blame the polluter who's trying to get around the regulation?” Samara asks. While landlords of rent controlled apartments don't earn the maximum possible profit, Gordon believes they are making enough. "In a scarcity rent situation landlords can make tons of money simply because they own a property. It's not because they're investing in it or providing a better good to their tenants, it's because they own property in a period where urban land values are rising rapidly," says Gordon. Some groups are working to expand rent control. A measure to overturn Costa-Hawkins will be on the November ballot in 2018. If passed, it opens the door for cities to expand rent control to every single unit, if they elect to do so. Landlords, developers and their representatives are deeply opposed to the expansion of rent control. 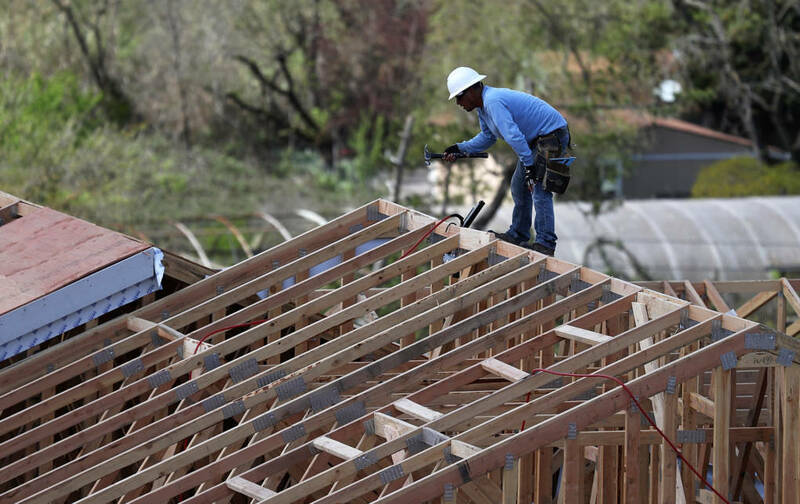 “Developers already face a number of hurdles when building, like nimbyism, environmental restrictions and the soaring costs of land and labor,” says Tom Bannon, CEO of the California Apartment Association. Tenant advocates say just building isn’t enough. New luxury housing depreciates too slowly to adequately alleviate the housing burden of low-income people. Some say cities should focus on building low-income housing while preserving and protecting affordable housing that already exists. California’s high costs of building disincentivize developers, and Bannon worries that if rent control expands to new construction, investors might leave the state entirely. “You would have a serious reduction in the construction of any new apartments because builders and banks and individuals would not be willing to take the risk,” he says. That’s housing we really need. Just to keep up with population growth California needs 180,000 new homes each year. And California has been averaging less than 80,000 new homes.